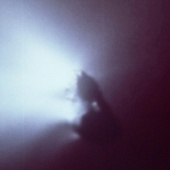 ESA's first deep space mission, Giotto was designed to help solve the mysteries surrounding Comet Halley by passing as close as possible to the comet's nucleus, which it achieved on 13 March 1986. No-one expected the spacecraft to survive its battering from comet dust during this encounter, but although Giotto was damaged during the flyby, most of its instruments remained operational. The mission was extended to allow an unprecedented encounter with a second comet, Grigg-Skjellerup.